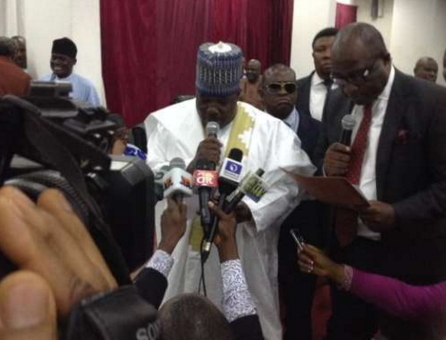 “Several allegation of terrorism and corruption have been levied against the new People’s Democratic Party (PDP) Chairman, Alhaji Ali Modu Sheriff. “The former Governor of Borno was accused by Rev. Stephen Davies of being the chief financier of the deadly terrorist group, Boko Haram. “APC UK also recalls that Alhaji Modu Sheriff who was arrested and granted bail by the anti-corruption agency, Economic and Financial Crimes Commission (EFCC) over a 300 billion Naira fraud, was allegedly linked with the arms-Laden Russian cargo plane which was intercepted by Nigerian security at the Mallam Aminu Kano International Airport. “Alhaji Modu Sheriff also reportedly negotiated a cease fire with Boko Haram, which turned out to be false thereby bringing shame and lack of integrity on the government of Goodluck Jonathan. 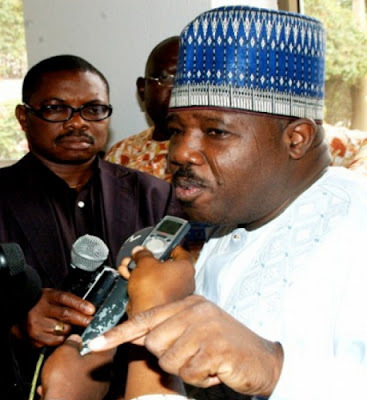 “These claims against Alhaji Modu Sheriff mean he lacks the veracity needed to lead any party, talk of the opposition. His swearing in as chairman despite the damaging accusations that hang over his head says a lot about the party. “By promoting Alhaji Modu Sheriff to the position of Chairman, the PDP really show they have no credible leaders amongst them. May God help Naija . PDP is a doomed party in Nigeria. Sixteen years we experience under thevtwo PDP highly corrupt and criminal administration brought ordinary Nigerian people nothing but fuel hike, poverty, corruption, mismanagement, terrorism, looting, embezzlement, hardship, insecurity, setbacks and economy disaster. They mismanaged our economy despite the oil boom from 2010 to 2014. They created Boko Haram for political reason, and now installed Boko Haram godfather as their party chairman shouldn’t come as a surprise to all Nigerians. I know for sure that the “Party of the Looters” otherwise known as PDP can never again govern our nation from the Federal Capital again. I don’t care if they make Shekau their Chairman, the party is already doomed in Nigeria and Africa at large. Shame on them for ruining our beloved nation and our economy. The pdp were afraid of sherif because he we use boko haram to follow them if they oppose his chairmanship. Nigeria the nation full of corruption. May God help us. i think by puting him there is a purpose, it has something to do with Buhari, lets watch and see the game plan.